Tim is a philosopher and science writer. He has been the editor of Cosmos magazine and Australian Life Scientist, and has written for New Scientist, Popular Science, The Conversation, ABC’s The Drum and many others. He is the founder and convener of Socrates Café Sydney. 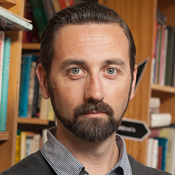 Tim is currently completing a PhD in philosophy on the evolution of our moral psychology and moral diversity. Signe is a science writer and communicator. She has a degree in philosophy and an MSc in cognitive science. As a freelancer she has written for The Scientist, Australasian Science and New Philosopher, and is available for commissions. 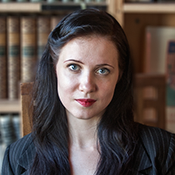 She is the co-founder of the Latvian Skeptic Society and is dedicated to the promotion of critical and rational thinking. She used to be a digital artist, hence the interest for science inspired art. All views expressed are her own and not those of her employer. You can be on this page! We welcome contributing authors to join our endeavour to pause and wonder. Read more here and get in touch with us!